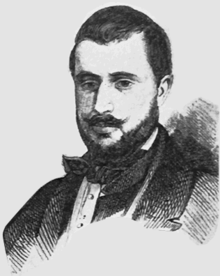 Dimitrie Brătianu (1818–1892) was the Prime Minister of Romania from 22 April to 21 June 1881 and Minister of Foreign Affairs from 10 April 1881 until 8 June 1881. He was the son of Dincă Brătianu and the older brother of Ion C. Brătianu. This article about a mayor in Romania is a stub. You can help Wikipedia by expanding it. This page was last edited on 18 March 2019, at 17:26 (UTC).